Hazel C. Whitaker Gourlay, age 78 of Hilliard, went home to be with the Lord February 11, 2011 at her home. She was born April 25, 1932 to the late John Robert and Cathrine Elizabeth (Sherbourne) Ingram. She was also preceded in death by her late husband and father of her children, Eugene Lawrence Whitaker, who passed away in 1971. She married David Gourlay in 1984 and they were married until his death in 2006. 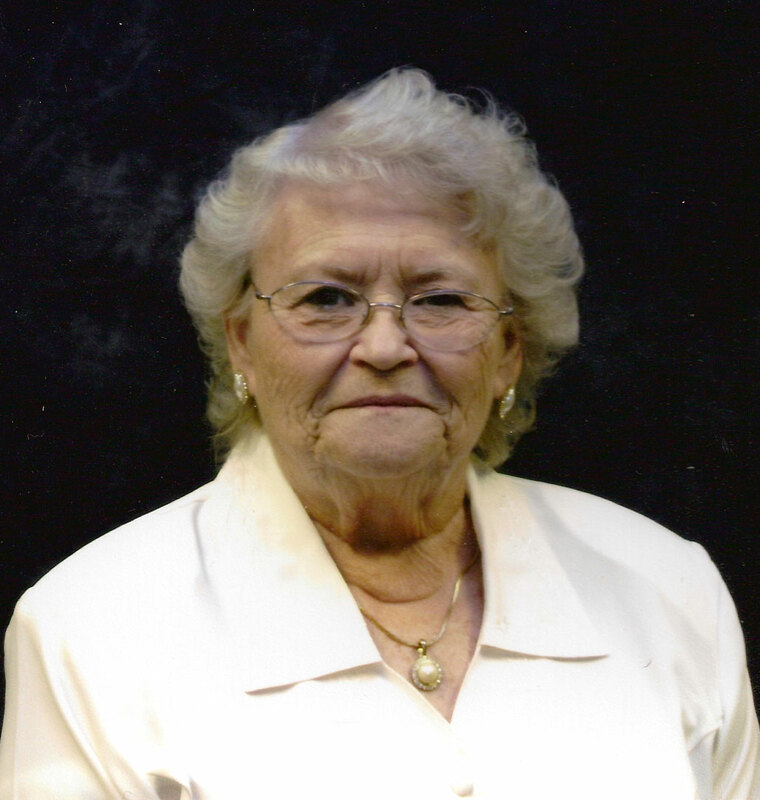 Hazel was a charter member of the Maranatha Baptist Church in Columbus and a 20-year and current member of Riverside Bible Church in Columbus. She retired from Southwestern City Schools where she taught art at Georgesville and Kingston Schools. She was an accomplished and talented artist and enjoyed gardening and raising animals. Hazel was a beloved mother and is survived by her children, Patricia (John) Conant, Grove City; Catherine (Dean) Unger, Largo, Florida; David (Denise) Whitaker, San Francisco, California; Stephen (Shirley) Whitaker, Prospect; Laura Whitaker, Paradise, California; and step-children, Jeffrey (Sharon) Gourlay, Lancaster; Deborah (Greg) Cox, San Diego, California; 20 grandchildren and 35 great-grandchildren. Celebration of Life services will be held Wednesday, February 16, 2011 at 12:30 PM in the Riverside Bible Church, 5330 Olentangy River Road, Columbus, OH 43235 with Pastor Arthur Crawford officiating. Private family burial will take place at Union Cemetery. In keeping with Hazel’s wishes, there will be no public calling hours. We are deeply sorry to hear about Hazel. We know she is happy now. She made David very happy. Hazel was my neighbor for 18 years. She was a remarkable person. I will miss seeing her, but I know she's in a better place. My deepest sympathies to her family. She was a great friend and I couldn't have ask for a better neighbor. She will be missed. SORRY FOR YOUR LOSS. OUR DEEPEST SYMPATHY'S AND CONDOLENCES ARE WITH YOU. ANYTHING WE CAN DO LET US KNOW. OUR PRAYERS & LOVE ARE WITH ALL OF YOU AT THIS TIME. We are sorry for your loss. We enjoyed being with Hazel the few times we were in Columbus. She and David were so happy and she took good care of David. We are thankful to know that she is in a better place and hopefully has even got to see David and all her family. She will be missed. We were so sorry to hear about Ms. Gourlay's passing. Thank you for your family's faithfulness to God's Kingdom. Apple (Maria Lourdes) and I send our condolences. Our Lord will comfort you during this difficult time. It's great knowing he is with us always and we're never alone. Wish we could be there to share tears and remembrances. God bless you all. I'm so sorry for your loss. I'm am keeping you and your family in prayers. Cathy and Dean, I am so sorry to hear the news of your mothers passing. It is my hope that during this time of sorrow and loss you find comfort in the fact that your mother is at peace with the Lord. I will keep you in my prayers.